Becoming a Certified Artificial Intelligence Professional puts you on the path to an exciting, evolving career that is predicted to grow sharply into 2025 and beyond. Artificial intelligence and Machine Learning will impact all segments of daily life by 2025, with applications in a wide range of industries such as healthcare, transportation, insurance, transport and logistics and even customer service. The need for AI specialists exists in just about every field as companies seek to give computers the ability to think, learn and adapt. Our Certification Programs in Artificial Intelligence are offered by Lassonde Professional Development Centre(LPD), an integral part of Lassonde School of Engineering at York University, with a mission to transform the way we teach engineering. As part of its commitment to lifelong learning and desire to build strategic industry relationships, LPD offers high quality and cost effective, short, professional development courses for entrepreneurs, industry professionals and engineers. All LPD courses, offered in a classroom and online formats, are designed to meet the needs of graduate Professionals (and PEAK). This group is to raise the awareness and understanding of the general public on the Artificial Intelligence, and its impact on our everyday lives. Our community members have access to variety of free & paid educational sessions, workshops and networking events, where they learn from and interact with each other. Our community consists of industry professionals, entrepreneurs, engineers , investors & corporate executives. 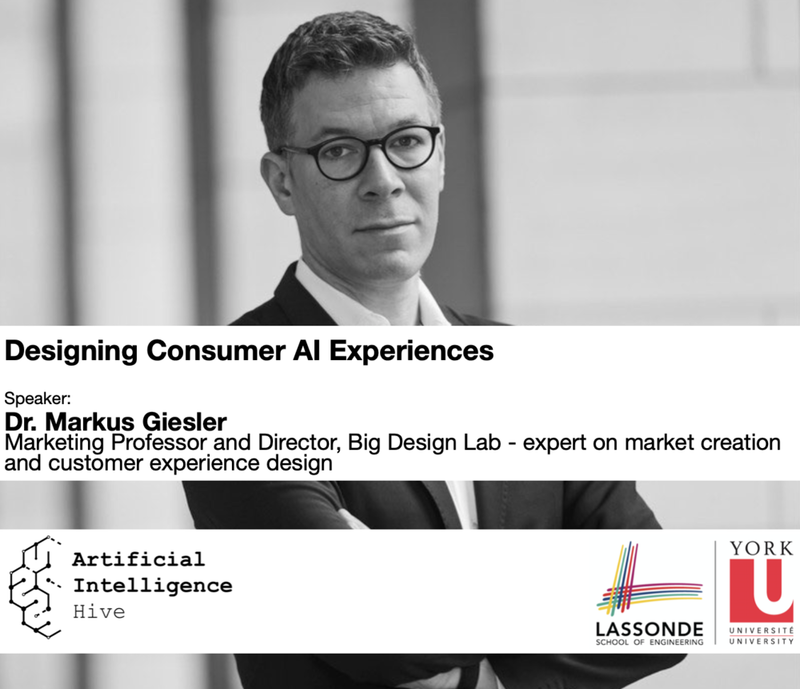 Drawing on his research into the sociology of artificial intelligence experiences, Markus led the participants through a set of cultural cases, discussions, and exercises designed to sharpen their AI experience design skills.